Already own a home in the Arlington Farms subdivision? Thinking of selling? Click here and read about current search trends & our web network. Arlington Farms is secluded little subdivision near downtown Fairhope AL. The homes are approximately 3.5 miles East of Mobile Bay and 1 mile to the South of Hwy. 104. The community features homes ranging from 1,700 to 2,500 square feet and many of the homes sold circa 2008. 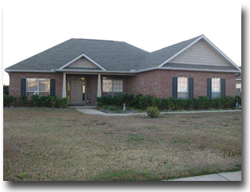 The homes in Arlington Farms are near Quail Creek golf club and various other Fairhope amenities. If you need further info, have questions or would like to schedule a viewing for any of the homes for sale in the Arlington Farms or any other properties in the area, please email info@condoinvestment.com or call 251.Area-Pro (251-273-2776) for immediate assistance.